Hey everyone, the Advanced Character Model Version 3 is finished! ! Import the .miproject ! Features: -Smooth and Sharp bends -Controllers, for that Blender/C4D feel (Not fake, they actually work) -Full body auto 3D second layers -Skin friendly, no skin editing required, just apply your skin and it works -Auto texture fingers (only for steve) Overview: Auto 3D extrusions: Full: Legs: Body and arms: Head: Fingers: Trailer animation by Hozq: That's all, hope you guys like it. (Contains both Steve and Alex) Download link: http://www.mediafire.com/file/8s9rdd76pkkuk67/ACMV3.ZIP/file ! You don't need to credit me, but it would be appreciated ! I made two because I was testing out different angles. Feel free to give me your thoughts, opinions, and tips! I'd love to get better. So... it's been a while, hasn't it? About time I posted another render! ...you should probably run. As ever, Constructive Feedback is appreciated! ACM V3 by @SoundsDotZip. Yeah, I make music sometimes I guess. I mean technically it's a music video, right? So, out of the blue, I decided to load up a decently large chunk of land and render it just because. The image was 22MB and Imgur wouldn't let me upload it, so I had to find an alternative website. I hope the image wasn't compressed too much. Anyway, that's all! Criticism is appreciated. Have a good day! This is my entry to a collab @RandomJeremy is hosting! Collab info: Enjoy! Credit: @RandomJeremy - The set @Ethanial - Mouth Textures Feedback is much appreciated! @crustyjpeg made the small truck. @Ghatos made the big trucks. "You might want to see a doctor. Your face is bleeding." Tug got a redesign. Credit: @Ethanial for sending me the song and helping me come up with the title, @9redwoods for criticism, and @Batman4014 for the bat rig. Hello everybody! I have a wallpaper, so here you go. I honestly don't know if its 2K or 4K but whatever. 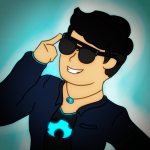 Unedited: Speed art: If you haven't subscribed already, it would be great if you did. It really means a lot to me. Criticism is appreciated, and I will see you all later! Bye! Enjoy! If you haven't already, please consider subscribing to my youtube channel! It means a lot to me if you do. THIS IS INTERACTIVE ANIMATION. Your choices will change the story. Choose carefully... Try to survive till the end! Choices are made via the youtube thumbnail system. Tell me some feedback please, positive or negative :). I hope you will enjoy it! If you have played minecraft in a flat world before, you will instantly understand this. Hello! Although not yet finished, I have released a trailer for people who are curious about the current situation. Recently, more and more viewers who want my videos are getting more and more. I'll do my best. I made a simple, but neat measurement tool with metric and imperial units. It probably doesn't have any practical use, but whatever. Texture: Save this image anywhere on your computer, then slap it onto a surface and set the Y scale to 8. Images: Includes features like: Metric units (even though every block is already a cubic meter.) Pixel units (pretty much just 1/16th of a meter.) Imperial units (the only reason I made this.) Goes up to 8 meters (roughly 26 feet and 3 inches.) Compatible with Mine-imator 1.0.0 and over. You don't have to give credit, but it would be appreciated. Divided - Battling Yourself (A Minecraft Fight Animation) #4 ~ United! Divided is most definetely my most successful animation I've ever made. It consists of 4 episodes, the fourth one premiering on April 17th - in 5 days as of writing this post. It's a story about depression based on real life. It's shown in a graphical way, where the protagonist has manifested his depression into a physical being and fights it in his head. The story has also got a lot to do with the events taking place in real life, abandoning friends, and so on and it includes a lot of psychological metaphores. It shows really deeply the effects of depression, how it can "devour" an individual from the inside and what an absolutely crucial role is being played by the pacient's friends and family. Divided itself is a project that has took me 3 years and a month to finish: from the episode 1, where my skill was not nearly on the level it currently is, till the final episode, premiering in a few days, while throughout the story I've prograssed and learned, becoming better and better as it went. Each episode took 3-6 months to being finished, with a 2 months break in between, except episode four (the one premiering). Episode 4 took a year and a half, with the first planning started in December, 2017. It started with the script, upgrading the rigs, building the worlds, later on the storyboard, contacting people and auditioning for voice actors and over the course, up till now, the lovely piece of art was growing. It took more than 4000 hours of work, 10 acts, 7 voice actors (recycling voices for several roles), over 2600 blocks being animated by hand, a lot of nerves and a lot of emotional support from other people (who I'd like to thank). It was made to wrap up the story in a spectacle and a meaningful emotional twist. A lot of credit goes to my YouTube partner, Freedom!, for providing me the access to licenced music, which has made the overall experience better on a whole another level - despite the fact that I still had to compose the soundtrack myself, using all the available material and properly crediting them in the end credits. Preproduction and production Animation was most definetely not everything there was needed to be done, of course: - First I needed a script (which I had written in the school cafeteria on a sheet of paper, ripped out of my notebook, and was later on written in the proper script format) - Afterwards, I required all the skins, rigs, voice actors, worlds, and assets that I would use in my animation - The storyboard, with individual shot lengths - A customly made soundtrack, based off which I would sync my animation (the first version including only the voices, and urgently timed events and adding the rest - such as footsteps, cloth sound effects and music - later in post-production) - Then I've tackled the animating part, which took most of the time, going at a rate of 1 second of animation being made every 2 hours or so; exporting the animation in bits of 20 seconds to prevent lagg and improove organization - going through the animation several times to add lighting, camera effects, fix minorities, animate statists, etc. Postproduction After the animation was exported, my work was FAR from done! I had to: - Open the animation in After Effects and create VFX, correct colors, etc. and render it (extra 10h of work per 20s of animated sequence) - Compress the file with professional software - Throw bits of the animation in my Premiere Pro project, arrange them and add every single possible occuring sound effect, going through several times to further correct colors, make sure the sound levels are plausible - Export individual acts as video files Post-postproduction At the end, I had to: - Merge all the uncompressed Premiere Pro project files into one super large one, to prevent quality loss - Do a double-check on sound, replace some sound effects, make sure the volume is right for individual sound effects (over 500 sound effects) - Manually color correct every single camera shot in the entire animation (over 1000 shots) - Run through the entire library of used sources, such as music, rigs, assets and even induvidual skins appearing in the background of the animation - Alphabetically organise the sources and form them into groups - Make the end credits - Export Divided 4 entirely I am currently at the final stage, where I'm raising awareness of the animation to put the year and a half worth of work into use - also known as advertising It's been a long journey and I'm proud of where the animation, that started as a small project and emerged into an enormous story, has gotten. Thanks again for everyone who has helped me with the work, all the statists, all the people from who I just took some of the rigs without them knowing (they are credited in the end credits though), and to all my viewers who were patient enough and understanding. Now i keep blubbering about some "premiere", but never show anything, so here is the link to the final Divided 4 finished animation - and you're all more than welcome to come join us at the premiere on April 17th, 5PM CET time. Thank you all for standing by my side and Stay Sharp! Dear mine-Imators users, Me, the "Duolingo bird", is finally in Mine-Imator. So you won't be able to escape from my lessons anymore. Pictures of me: Download me right now and don't dare to ignore me. Something i made being inspired by a particular scene in the new f_n_a_f trailer. #noeditingsquad and no i won't be making f_n_a_f content now. And also it wont let me write f_n_a_f without the underscores because it just auto corrects it to "fad" for some reason. So, I'm not sure what exactly I wanted to call this. Its just another render. I appreciate your thoughts and opinions on this render, your tips can help me get better at renders. I'm running out of ideas of things to render, so if you just want to state random ideas in the chat I'd be so thankful. Hi everyone! Here is a trailer for my new animation (witch will also be the first episode of a new serie called "Le loup-garou", or "The werewolf" in English). I'm really happy to be finally able to post this animation, because I've been working on it FOR 1 YEAR AND 4 MONTHS But anyways, here's the trailer, enjoy!